﻿﻿ 1909-1958 P & D Wheat Cent Roll Mixed for sale. This is an auction for two Wheat Rollsas a set and the following coins are included in the two roll coin set. 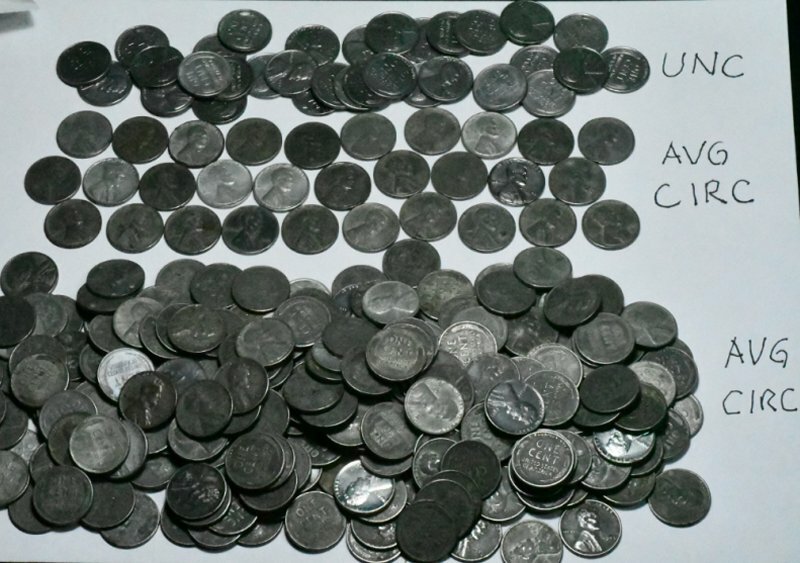 All of the coins supplied will be picked out of the one's shown in the photo above. For instance five (5) coins will be picked randomly from the bag of coins from 1910-1919 which includes Philadelphia, Denver (D) and San Francisco (S) minted coins. The same will be done for the rest of the items in the list. The uncirculated Steel Cents are nice as show in the photograph and one of these will be included. I have done my best to reject any of the baldly rusted Steel cents in the circulated coins however a few flyspecks are still possible. One (1) 1909 Lincoln Centaverage circulated. Five (5) coins from 1910 to1919. This batch includes "P", #D# and "S" mints. Two (2) Uncirculated Steel wheatcent. Fifty Seven (59) average circulated steelwheat cents. The quantity two (2) available means two sets of two rolls each. If you purchase a quantity of one you receive two roll as with the coins delineated as above. When you pay by PayPal we ship to confirmed address. Insurance provided by ProCoins at no charge. ProCoins has been a Pittsburgh coin dealer for over 30 years and for the past twenty has been in internet sales via my world wide web coin internet site. I retired in January of 2008 and am doing this full time. I have 1n the past sold many collections on eBay and have many nice comments on my coins from collectors like you. Follow the links in myabout me page and send me an email if you have time and tell me how you like the auction. SHIPPING: All listings ship at a minimum USPS First Class or Priority Mail. ProCoins will ship the next business day after receipt of an order by 11:59 PST. and a tracking number will be provided. In the case where coins exceed the weight or size limit for First Class then ProCoins will ship Priority Mail. ProCoins will in all cases provide shipping at no cost to you. Rare as it is, the USPS does damage, lose, and delay delivery of mail. If all packages are properly addressed and posted only the USPS has any control over what happens to a package. If a coin is shipped with a tracking number, please check the tracking info before contacting us about a delayed shipment. Most are simply delayed rather than lost. If your item is lost or delayed more than 14 days by the post office, ProCoins will if the item is in stock replace the item or provide you a reimbursed. Don't worry, whatever happens, we'll work something out. ProCoins has a 30 day return policy. Good Luck! 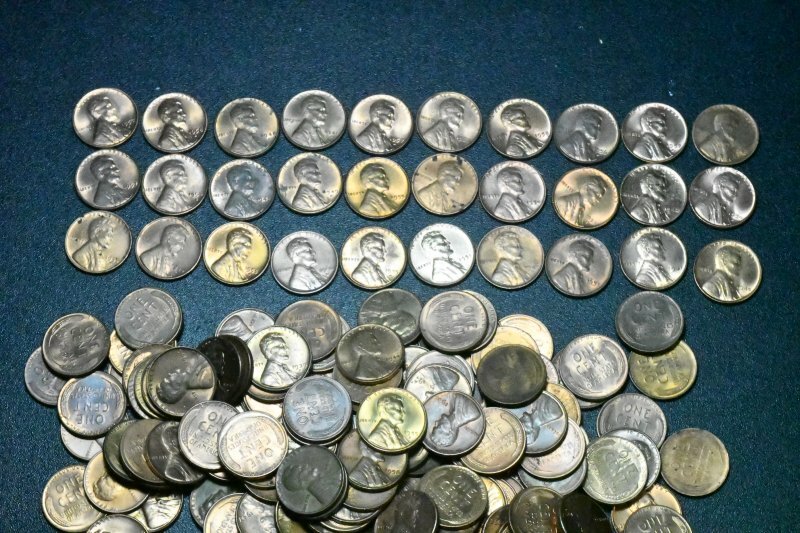 1909-1958 P & D Wheat Cent Roll Mixed for sale.